THE ISLAND WILL BE EASIER TO VISIT THAN EVER BEFORE. If you've never heard of Hokkaido, you're not alone. Excluding the skyscrapers and beer gardens of its capital city, Sapporo, Japan's northernmost island oftentimes falls off the radar of travelers on a rushed itinerary. 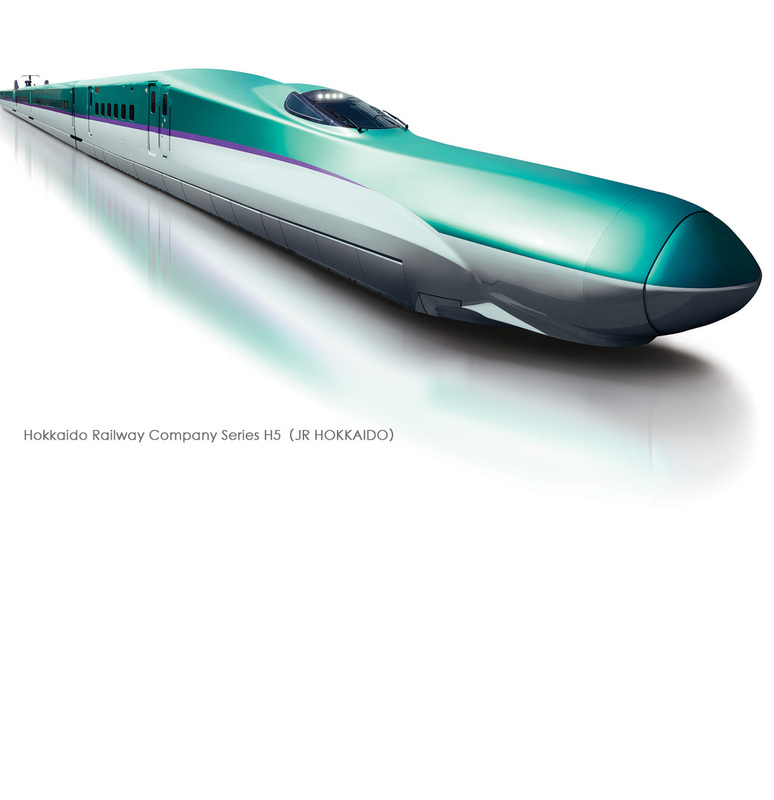 With the opening of the Hokkaido shinkansen High-Speed Rail between Shin-Aomori and Shin-Hakodate-Hokuto next spring, the island will soon be easier to visit than ever before. But why not go now and beat the swarm? Hokkaido is a winter wonderland riddled with world-renowned ski resorts and volcanic hot springs. Coastal plains sprawl in all directions. The island's cities are bursting with culinary delights and vibrant nightlife. And Hokkaido's ancient Ainu culture is like none other in Japan. What are you waiting for? The time to discover the hidden Hokkaido is now. 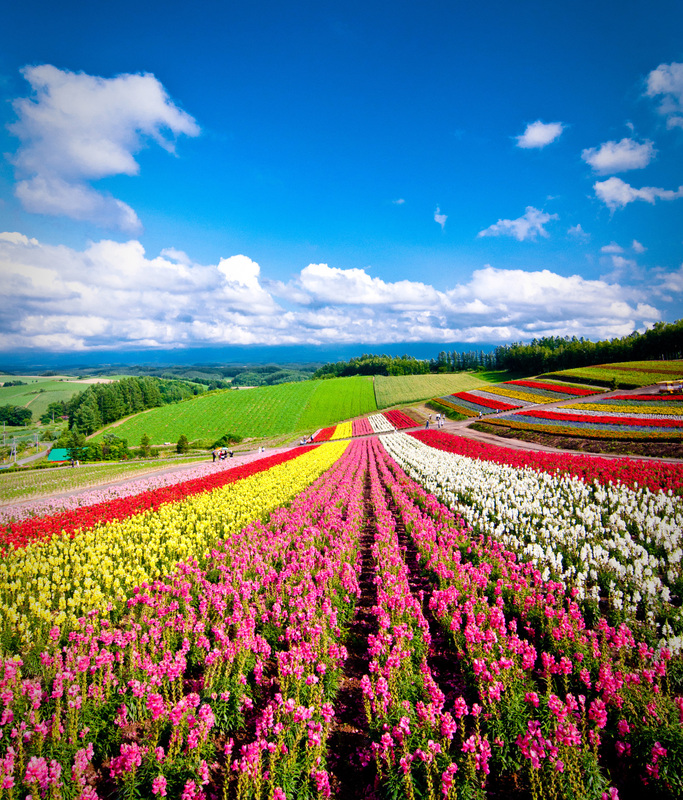 Hokkaido is rich in both history and natural beauty. 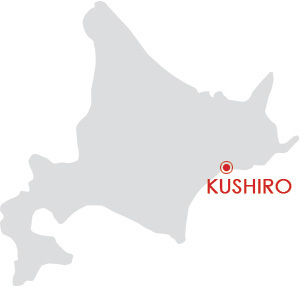 In the east lies Japan's largest marshland, Kushiro National Park. 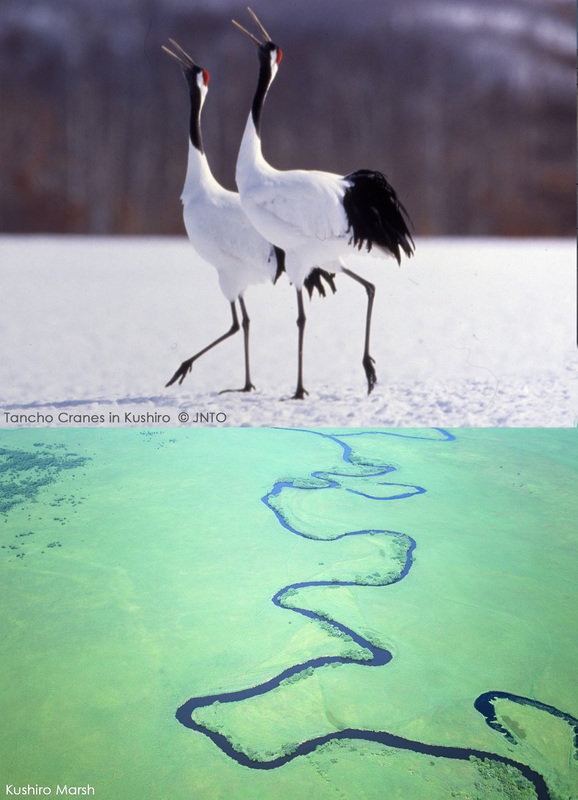 Over 2,000 varieties of animals can be found here, including the country's majestic natural monument, the Tancho crane. The people of Hokkaido are just as intriguing. The Ainu have lived here for thousands of years and, even today, many still practice their ancient beliefs and customs. Bird feathers are sewn together for clothing. Fish and wild plants are gathered for winter. And traditional dance and song are an integral part of life. Daisetsuzan National Park in central Hokkaido is the largest national park in Japan-875 square miles of volcanic peaks, wide rivers, and dense forests of fir and beech. In September, the forest erupts in a burst of autumnal splendor, comfortably viewed from the cable gondolas that operate year-round along the face of Hokkaido's tallest mountain, Mt. Asahidake. 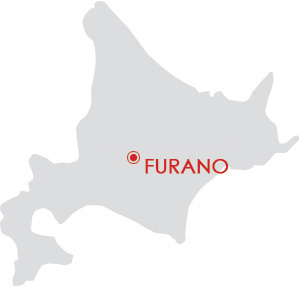 In central Hokkaido, Furano is famous for its fragrant and colorful fields. Lupines and tulips flower in May and are followed by a succession of blue salvia, poppies, and dahlias through early summer. 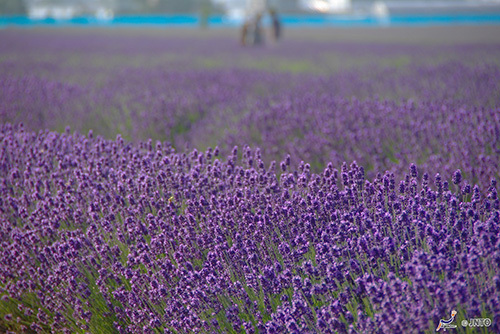 The season peaks in mid-July, when a thick carpet of purple lavender covers area hillsides. To the south, at the foothills of Hidaka Mountain, gondolas ferry visitors to the Unkai Terrace viewing platform belonging to the Hoshino Resorts Tomamu. The word "Unkai" in Japanese means "sea of clouds," and when conditions are right on summer mornings, a dense river of fog pours over the cliffs of Unkai Terrace like an ephemeral tide. Hokkaido is arguably one of Japan's best-kept culinary secrets. The deep, cold oceans provide an abundance of fresh seafood including crab, scallops, salmon, and octopus. Hokkaido's sea urchins are especially delectable due to their mellow, sweet flavor. The urchin sashimi is a must. For serious seafood enthusiasts, the town of Hakodate is renowned for its morning market. Over 350 stalls offer delicacies such as freshly caught squid, salmon eggs, and Atka mackerel. Or just take a seat at one of the town's many Michelin-starred restaurants. No matter if you're wandering the Hakodate market, sipping beer in Sapporo, or sampling sushi in Otaru, you must try the ishikari-nabe, or salmon hotpot, authentic to Hokkaido. Tantalizing chunks of salmon are stewed together with vegetables and tofu for a taste of both land and sea. Also, be sure to order the "Genghis Khan," in which sliced mutton, bean sprouts, and pumpkin are served in a helmet-shaped iron bowl. 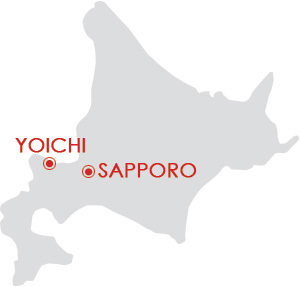 Sapporo, and other coastal cities to the north and west, are ideal for sampling Hokkaido's distinctive cuisine. The slightly sweet taste of crab, flounder, cod, and octopus from Japan's cold northern seas are highly prized. 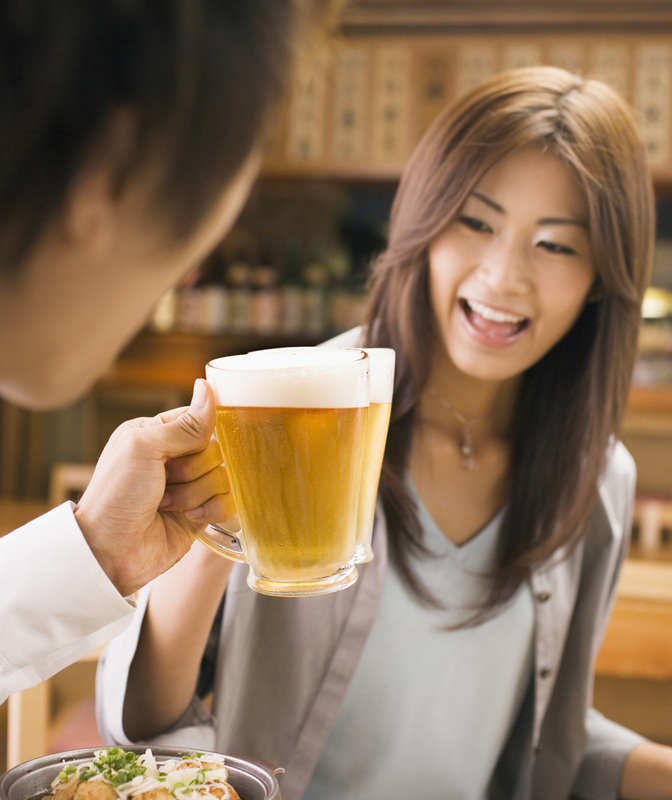 The area is famous for its large beer parlors such as the Sapporo and Kirin Beer Gardens. 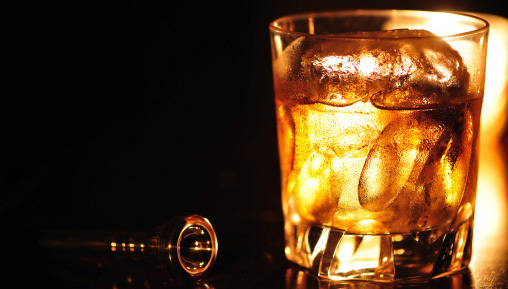 The Nikka Whisky Distillery in Yoichi, about 20 miles west of Sapporo, was founded in 1934 and is open for tours and tastings throughout the year. From November until April, Hokkaido is blanketed in feather-light snow and reigns as one of the best winter-sports destinations in all of Asia. The entire island is dotted with ski resorts, but the true prince of powder is Niseko. With its four interconnected resorts and more than 800 skiable hectares, powder hounds can make fresh tracks at Niseko all afternoon. For those who prefer a more relaxing experience, many hot springs beckon throughout Hokkaido including Niseko's famous onsen, or volcanic hot springs. Feel your stress melt away as you soak in the healing water and listen to the sound of snowflakes falling. No matter how you chose to spend your day, make a Niseko night of it at the resort's highly acclaimed restaurants and bars. WITH SO MUCH TO SEE, TASTE, AND EXPERIENCE, HOKKAIDO WILL CONSTANTLY EXCITE AND AMAZE YOU. Sample the flavorful surprises and wild charms of Hokkaido and journey beyond your imagination.